Druids knew that each of us has a tree-patron, endowing certain features. What tree it is depends on your date of birth. Druids are the inhabitants of the forest who settled in northern Europe. Their civilization had enormous power over the population. Druids were oracles and healers, overseers and guardians of the law. The pagan canons of this tribe idolized everything around. According to their faith, the trees possessed magical powers. And it was from the tree that man descended. Druids created their Celtic horoscope, with which you can not only learn about the character of a person, but also change your destiny for the better. They have created a love horoscope of compatibility, from which you will learn how happy your relationship can be. According to their teachings, if you are in a difficult situation, head to the forest, find your tree, lean against it and feel how the energy of the plant surrenders to you. Thank the tree, get a fake house made of wood, and happiness will not keep you waiting long. The tree has the maximum strength on the date of birth. Each tree in the Celtic horoscope has two periods: spring and autumn, or winter and summer. Twice a year, in summer and in winter, the Sun declares war on the night. The summer and spring equinox in the Druid tribe were considered major holidays. The fate, according to the judgment of the priests, directly depended on the location of the Sun on the person’s birthday. The year was divided into several periods, each of which is protected by a certain helper tree. 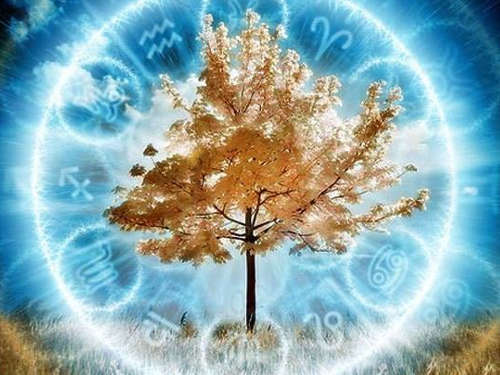 Druids believed that the plant patron gives a person character and personal qualities, and communication with “his” tree will help to change life for the best. Fir: January 2 — January 11; July 5 — July 14. People born under her patronage are conservative. Committed to the foundations, protect their habits and not chasing fashion, preferring the tried and true. Demanding and capricious, demanding to seek the best for themselves and their loved ones. They like it quite difficult, but if you get their attention, expect a fabulous life. Elm: January 12 — January 24; July 15 — July 25. Elm people are distinguished by simplicity in words, deeds and life, external and internal beauty. They try not to attract extra attention, they get tired of constant admiration. Tied to things and are constant in choosing a partner. Since childhood, they know what they will do in life, and purposefully go to the dream. Cypress: January 25 — February 3; July 26 — August 4. People who are protected by the cypress, usually do not pursue success, fame or financial well-being. The goal in life is to be happy. They fold mountains to avoid problems and enjoy life longer. Poplar: February 4 — February 8; August 5 — August 13. People born under the patronage of poplars, are rapidly developing, standing out among their peers. The charm bestowed by nature gradually fades away from eternal fears and thoughts. They need to be loved and needed, otherwise they become depressed. South Carcass: February 9 — February 18; August 14 — August 23. Dynamism and confidence distinguishes people born in this period. Lovers of comfort, they have excellent health and love to be the center of attention. Have the gift to attract problems, but quickly solve them. Born for adventure. Pine: February 19 — February 28/29; August 24 — September 2. Those who patronize the pine tree are always in sight. From the zest for life knows no boundaries, but they are very sensitive to everything new. They are the creators of comfort, they adore beautiful things and try to arrange them all around them. According to the horoscope of the Druids, the merits of the owners of this tree do not hold, but they lack the generosity. Their main goal is their own well-being. Willow: March 1 — March 10; September 3 — September 12. The originality of people under the auspices of willow is bestowed upon them from above. They stand out for charm and mystery. Impulsive, but committed hobbies. Have a lot of fans. Contemplative to the depths of the soul, often immersed in thought. But vulnerable and touchy, sometimes in this border. Lipa: March 11 — March 20; September 13 — September 22. People born under her patronage are pleasant and sweet, they understand this very well, they know how to benefit from it. Know how to impress and win respect. They make excellent psychologists. But they are not able to understand themselves. Oak: March 21 — spring equinox. Oak gives people colossal energy power, but softness is alien to them. Proud, fair, do not forgive anyone flashed weakness. They are more respected than loved. Great leaders can lead people. Hazel: March 22 — March 31; September 24 — October 3. Hazel people are those that are usually overlooked. They do not make an impression; only those people who have known them for a long time can charm. Silent, clamped, but smart. Do not chase the opinions of others, having their own judgments about everything. Rowan trees: April 1 — April 10; October 4 — October 13. Rowan, according to a horoscope, gives a calm disposition and pleasant appearance. People born during this time have friends in different parts of the world. They are constantly in a good mood and with an optimistic attitude. But all experiences pass through themselves, not annoying anyone. Maple: April 11 — April 20; October 14 — October 23. According to the Druid’s horoscope, maple dominates people with cheerfulness, curiosity and activity. They are always in the middle of the action. Constantly looking for an adventure, do not sit in one place. Charming, funny and slightly weird. Walnut: April 21 — April 30; October 24 — November 2. People under the auspices of walnut endowed with exquisite manners, a sense of style. Loyal, loyal, inimitable strategists. They like to arrange unexpected surprises. They are constantly working on themselves and their inner world, bringing everything to perfection. Financially independent, trying to solve their problems without connecting other people. Jasmine: May 1 — May 14; November 3 — November 11. Jasmine radiates tenderness and kindness, attracting to itself. Such people are very vulnerable, although they give the impression of the frivolous «darling of fate.» They create by their presence a relaxed atmosphere. Life problems bypass them, but deep down the owners of this tree are pessimists, despite the fact that they are trying to seem cheerful. Chestnut: May 15 — May 24; November 12 — November 21. Under the auspices of chestnut are people who value honesty and modesty. They have an inner core and vitality, but they do not know how to use it. Fighters for justice, achieve their own despite the others. They are very silent and like to take the glory from other people, but they do it unconsciously. In love, they are unhappy because of jealousy and fear. Ash: May 25 — June 3; November 22 — December 1. Ash in the horoscope is different complacency. The people who are protected by this tree are very demanding and selfish. It is impossible to start a dispute with them, as they are only sure that they are right. They live only to satisfy their desires, in the good sense of the word. Hornbeam: June 4 — June 13; December 2 — December 11. People who are patronized by the hornbeam are interesting, but they do not know how to express themselves, therefore they often fade, merging with society. They dream of fame or public gratitude, but do nothing to achieve the goal. Fig: June 14 — June 23; December 12 — December 21. Figs bestows uncommon traits of character that stand out from the crowd. Many people, who fell figs according to their horoscope, feel like strangers in society, they cannot find themselves. The slightest difficulties put such people off balance, into which they cannot return later. Birch: June 24 — summer solstice. People of this patron are pleasant, open, kind. Calm is their strong point. In their endeavors, they are constant, faithful, they demand attention and love. Can not stand the vulgarity in any manifestation, because they themselves are full of a sense of proportion. They love to work and would undoubtedly quietly settle in the village. Sentimental, not afraid to openly express their feelings. Apple Tree: December 23 — January 1; June 25 — July 4. The apple tree is a symbol of sensuality. People under the auspices of this tree, strive for marriage and the creation of a family. Joyful, not subject to the opinions of others, purposeful. Their selflessness is often used because they are easily deceived. They do not think about tomorrow, live here and now, often forget about their debts. This nature is peculiar to philosophy, they are full of hope and joy. Oliva: September 23 — autumnal equinox. People born under the auspices of the olive, can not stand the cold, dream of warm countries, because of this they can often get sick. However, they are calm and reasonable, always ready to help. In love, they risk becoming addicted to a partner. Beech: December 22 — winter solstice. Beech gives strength and longevity to people born under its shadow. Such people are independent, they will never ask for help, but they will always offer it. People-beeches are successful, purposeful, thrifty and reliable. Druids created their personal horoscope, but, unfortunately, only echoes could be preserved until our time, because earlier the teaching was transmitted orally. The kind in which the horoscope reached us is a simplified version of the great teaching. But it is no less effective. The tree has always been considered a symbol of life, found in it the divine and worshiped in many religions. There is a mention of the tree in the Bible. In addition, each Zodiac Sign has a personal tree patron. In the center of paradise stood two mighty and beautiful trees: one was the tree of life, and the other was the tree of the knowledge of good and evil.